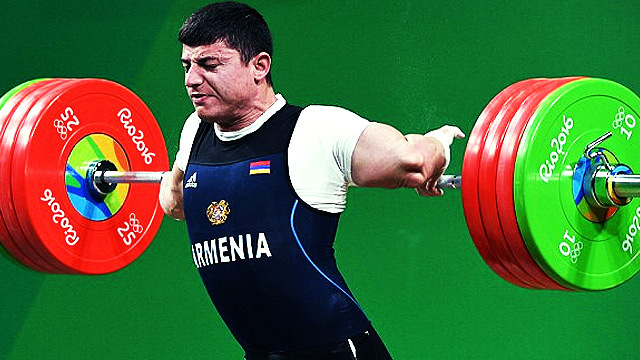 Armenian weightlifter Andranik Karapetyan saw his Olympic dream come to a horrible end after suffering a gruesome elbow injury on Thursday morning. According to an article on Deadspin, the reigning European champion was attempting to lift 195 kilograms (430 pounds). It seemed like he was about to complete his attempt when his left elbow suddenly popped. Medical officials immediately rushed to Karapetyan's side and helped him off the stage as he screamed in pain.